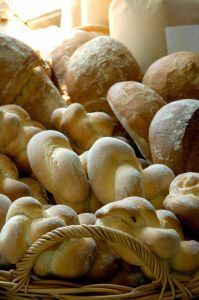 Make your day easier with ordering all your bread, pastry needs with one phone call and one delivery. Chris went to the University of Rhode Island where he met his wife Maria. They moved back to Maria’s hometown, in Central MA after graduation. They always wanted to own their own business and began by both quitting their jobs and opening a convenience store in the center of Shrewsbury. As the family started to grow with the birth of their two children the decision was made to sell the convenience store and take the leap into distribution. Duva Distributors has been family owned and operated by the Duva Family. Since 1997, Chris Duva has been passionate in meeting and exceeding the needs of his customers. He started with just a few main bakery lines and as he saw the needs of his customers grow and change he added more bakery lines enabling him the ability to better serve and offer more products to make one stop shopping possible for our busy customers.